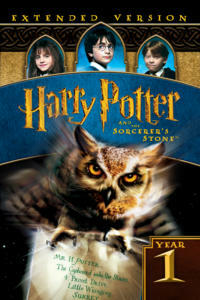 Prepare for more magic and mystery with the return of Harry Potter and his friends! Harry (Daniel Radcliffe), about to embark in his second year at Hogwarts School of Witchcraft and Wizardry, receives an ominous warning not to return to the venerable school. Ignoring the warning, strange things start to happen when he returns...students and staff are being turned to stone and Harry keeps hearing a voice which seems to be coming from within the walls themselves! 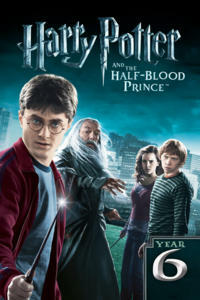 It's up to Harry and his two closest friends, Ron (Rupert Grint) and Hermione (Emma Watson), to discover the true source behind the terrible events that are terrorizing the school! Also starring Oscar and Emmy-nominated Richard Harris ("The Count of Monte Cristo," "Gladiator"), Oscar and Golden Globe-winner Maggie Smith ("Divine Secrets of the Ya-Ya Sisterhood," "Gosford Park"), Oscar-nominated Kenneth Branagh ("Wild Wild West," TV's "Shackleton") and Robbie Coltrane ("The World is Not Enough," "Message in a Bottle"). Harry, Ron and Hermione set out on their perilous mission to track down and destroy the Horcruxes--the keys to Voldemort's immortality. On their own, without the guidance or protection of their professors, the three friends must now rely on one another more than ever. But there are Dark Forces in their midst that threaten to tear them apart. Meanwhile, the Wizarding world has become a dangerous place for all enemies of the Dark Lord. The long-feared war has begun and Voldemort's Death Eaters seize control of the Ministry of Magic and even Hogwarts, terrorizing and arresting anyone who might oppose them. But the one prize they still seek is the one most valuable to Voldemort: Harry Potter. Harry's only hope is to find the Horcruxes before Voldemort finds him. 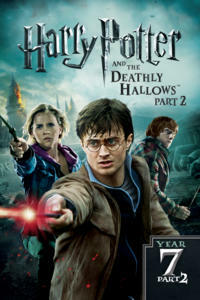 But as he searches for clues, he uncovers an old and almost forgotten tale--the legend of the Deathly Hallows. Thanks for providing the movies! 2019-4-24 09:57 GMT+8 , Processed in 0.095197 sec., 17 queries .